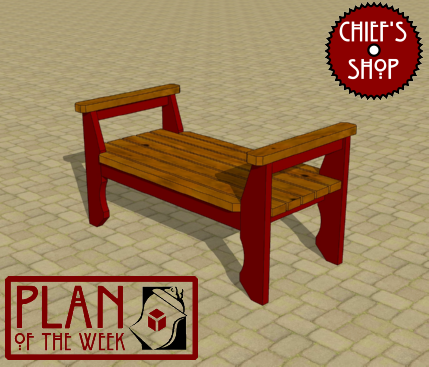 The Chief’s Shop Patio Contemplation Bench makes a nice little perch where you can gather your thoughts. Place it on a patio, as its name implies, or in any spot you could use a small bench. Lumber required is just a few 2x4s and 2x6s. Overall dimensions: 51 3/4 inches wide x 27 1/2 inches deep x 27 1/2 inches high (at the arms).